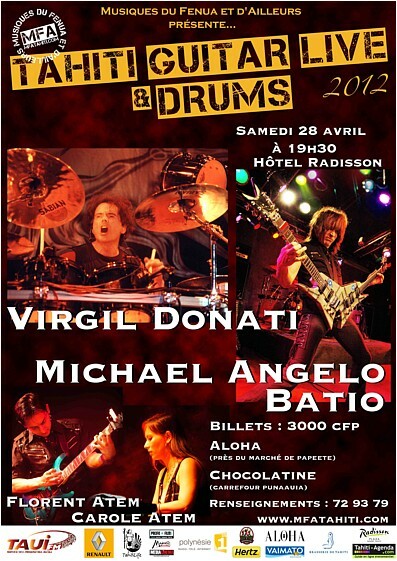 Musiques du Fenua et d’Ailleurs presents: "Tahiti Guitar & Drums Live 2012", featuring guitar wizard Michael Angelo Batio, drums virtuoso Virgil Donati, as well as Grammy-nominated guitarist Florent Atem and keybordist Carole Atem. Saturday, April 28th, 2012, in the Endeavour Room at the Radisson Plazza Tahiti Resort in Arue, Tahiti. Show starts at 7:30 p.m. 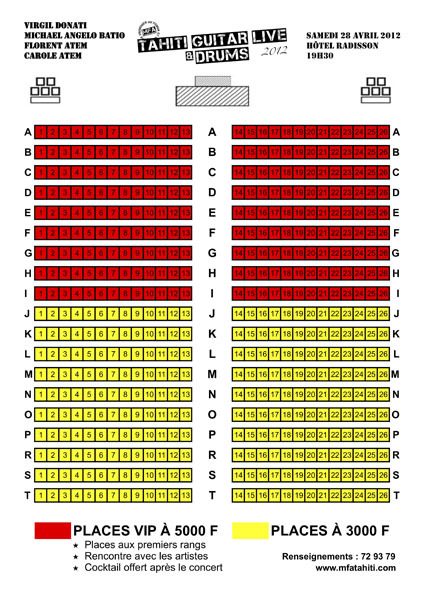 CALL 72 93 79 NOW TO RESERVE YOUR SEATS!